Calhoun County Homeless Health Fair Project Connect/V.A. Stand Down is October 20, 2017 from 9am -1pm. This is an event that provides material goods, food, and other assistance to veterans and other people who are homeless or who have been homeless in the past. Volunteers hairstylists/barbers are needed to give free hair cuts at the event. 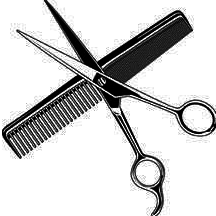 You will need to bring your own clippers, combs, scissors and other materials. You will also need to bring your own sanitizing equipment. Electricity and a chair provided. Volunteers can cut hair for the full four-hour time, or for just a of the event or a couple of hours, whatever your schedule allows. Log in to see who is volunteering for Volunteer Hairstylist/Barbers!